Morocco was unlike any place I had visited before. As much as I loved exploring the natural beauty and learning about the Moroccan culture, I was somewhat relieved when I finally boarded the ferry to Spain. 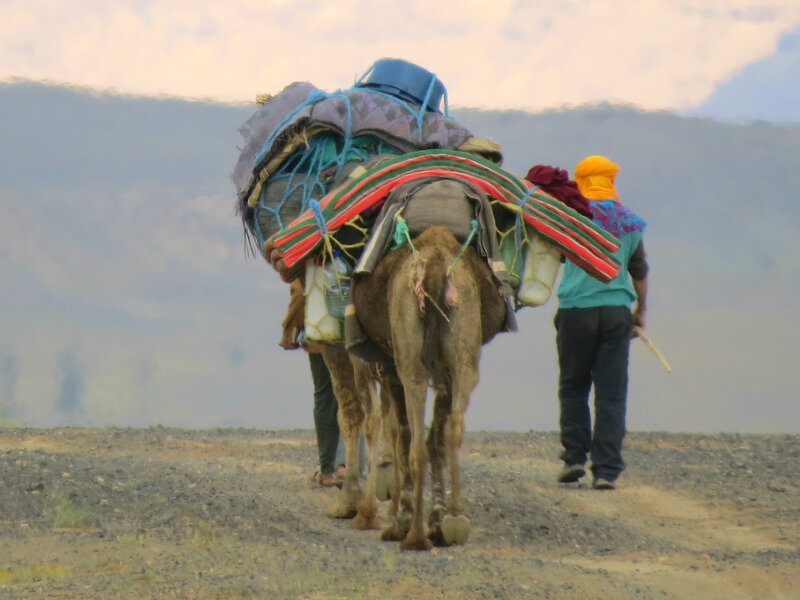 Traveling in Morocco was difficult. The aggressive vendors, the scammers and the constant chaos had taken its toll on me. Arriving in Tarifa, Spain was like traveling to a different world. I’ll never forget my time in Morocco, even if it wasn’t as relaxing as a week at the beach. Chefchaouen was made for Instagram. Let’s count the ways. 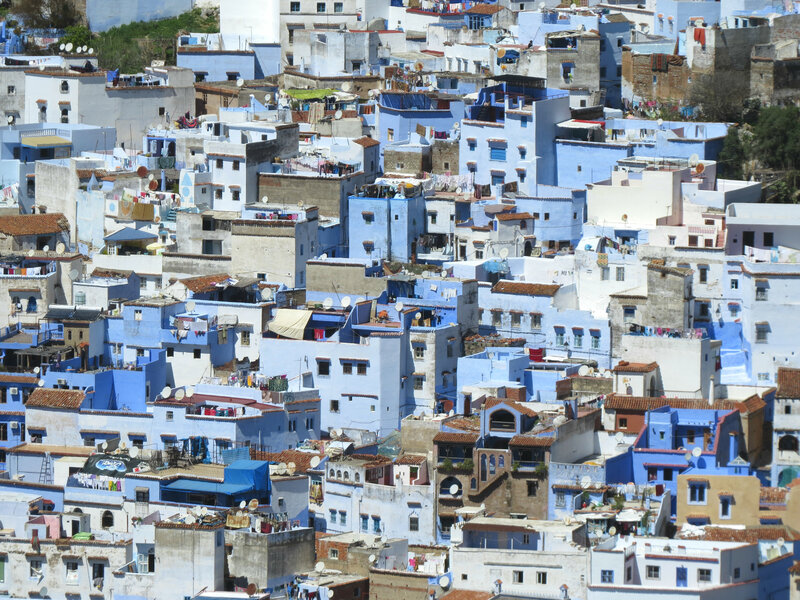 Old buildings and winding streets painted in varying shades of blue. Check. A picturesque mountain setting with lush green vegetation. Check. Cute elderly people walking the streets in their culturally appropriate yet non-oppressive clothing. Double check! 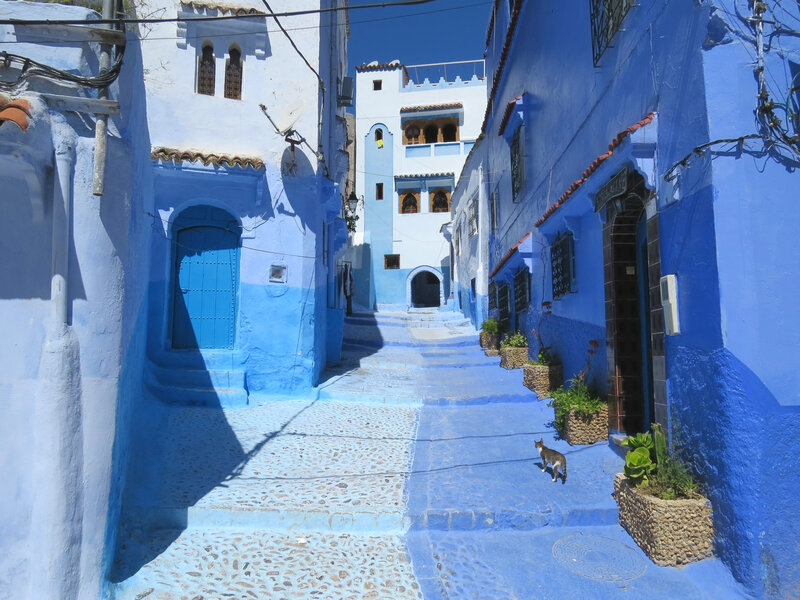 Underneath Chefchaouen’s photogenic exterior you will find a quaint city with a laid-back vibe. It’s no surprise it was one of my favorite places I visited in Morocco. Less than a two-hour drive from Fes, you can find two of Morocco’s most important historical locations, Volubilis and Moulay Idriss. 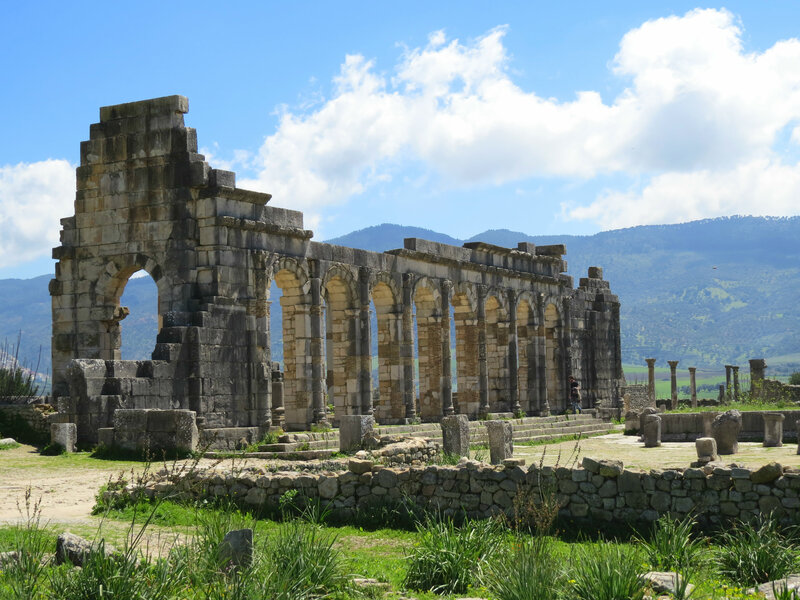 Volubilis was a Roman city that was eventually abandoned due to its remoteness and pressure from the local tribes inhabiting the area. Now, it is a UNESCO World Heritage site and one of the best-preserved Roman colonial cities. 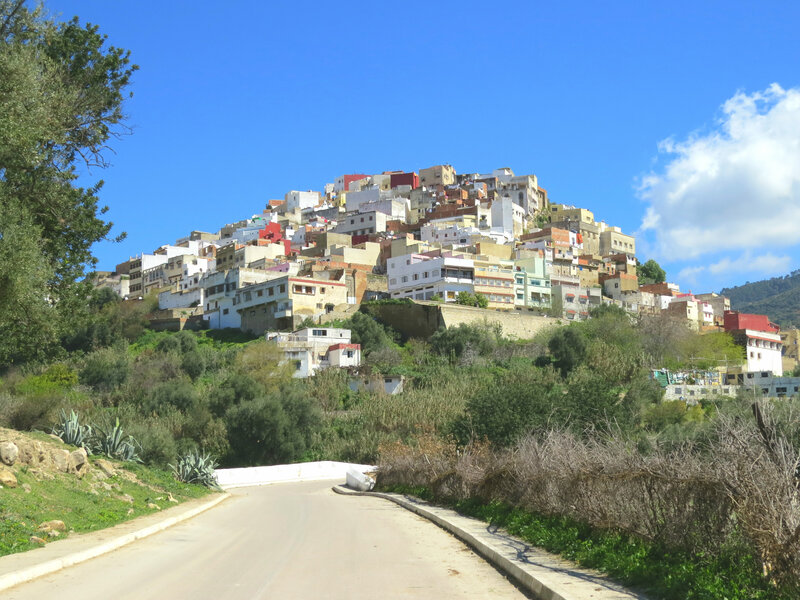 Nearby, the town of Moulay Idriss is considered the holiest city in Morocco since it is where Islam was first introduced. We hired a grand taxi and spent a sunny day touring these two beautiful and interesting sites. Fes is the second-largest city in Morocco, and the country’s former capital (the current capital is Rabat). The city’s long and diverse history dates back to the late 700s, when it was founded by members of the Idrisid Dynasty, who are often credited with the foundation of the Moroccan state. In the clothing realm, Fes is well-known for its hats of the same name. I did not observe these hats being worn commonly on the streets of Fes, but the attendants in the riad I stayed at wore them at dinner, perhaps as a throwback to days of the past. This is the second part of my tour of Marrakech. To read the first part, click here. 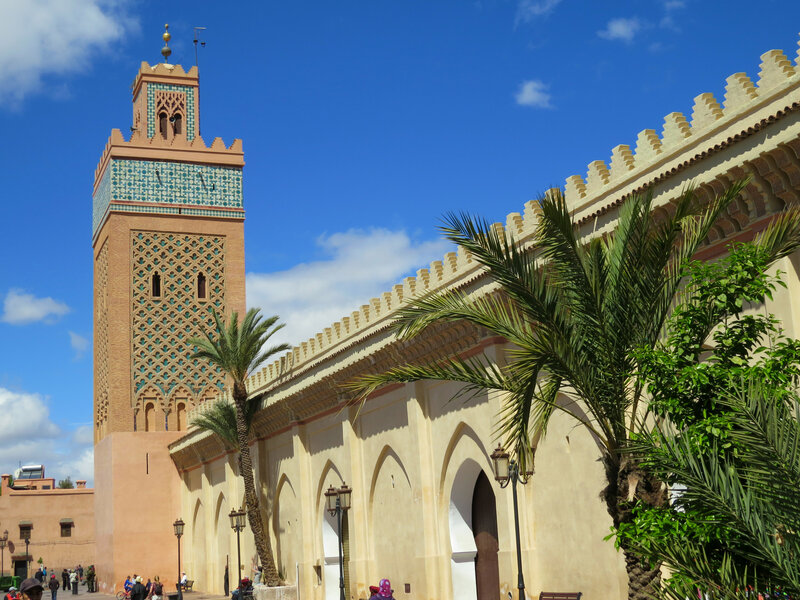 The Saadian Tombs are one of the top tourist attractions in Marrakech. The tombs are the final resting place for several members of the Saadi dynasty, including Sultan Ahmad al-Mansur. The entrance to the tombs is just a random opening in the wall which is fairly hard to locate if you don’t know what you are looking for (like pretty much every attraction in Morocco). If you can find the tombs, it is worth the 10 Mdh to take a peek inside. There are no information plaques, so it is helpful to have a guide give you a tour. 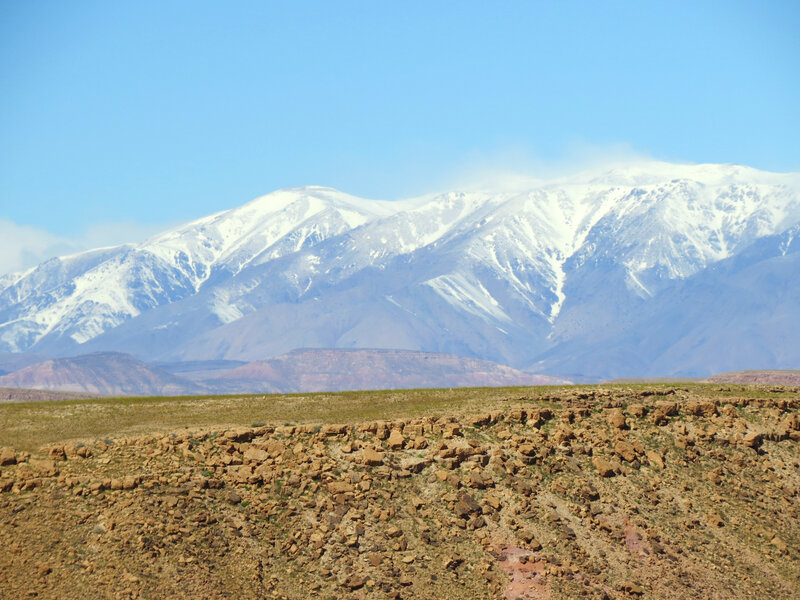 The Atlas Mountains divide Morocco in half. To the north of the mountains are lusch green lands, with trees, shrubs and ground-cover vegetation. To the south is an arid desert. The mountains between the two areas are a combination of the north and south, with the highest peaks covered in snow. You can be standing in the desert looking up at the snow-capped peaks. In two hours driving time, you can be standing in the snow. It’s hard to process how drastically different the climates can be over such a short distance, but this is one of the reasons that Morocco is such an interesting place to visit. Stray cats and kittens are everywhere in Morocco. The locals seem to care for the strays by throwing out scrap meat into the streets. On a few occasions, I saw old men sitting on a bench feeding the cats like you might see them feeding pigeons in the United States. The cats were definitely cute, but they could also be a bit aggressive and annoying as well. Many of the times I ate at an outdoor cafe, cats would walk up and beg for food. One time a cat even climbed up into my friend’s lap at the table. Love them or hate them, definitely expect to see them everywhere in Morocco. Marrakech is hectic. From the moment my taxi dropped me off at the entrance to the medina, I was immersed in a world unlike anything I had experienced before. The tight, winding streets of the medina lead you past aggressive vendors, playful children, cafes and restaurants, zooming motorbikes, and donkeys. It’s a city that combines the old with the new. I had booked a riad (traditional guest house with a courtyard) online. 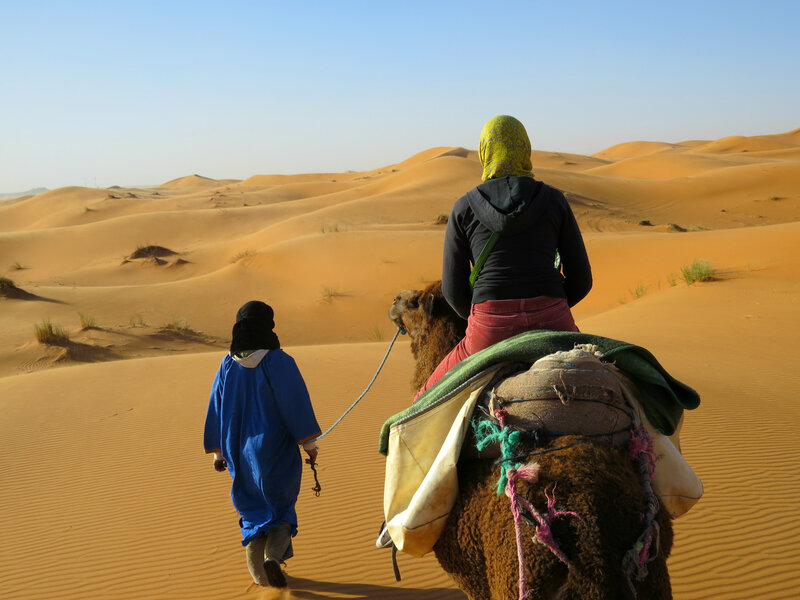 At first I thought I could find the riad on my own, but that was a mistake. After a good fifteen minutes of wandering in circles, I finally caved and asked for help. An older man was kind enough (for a price) to lead me to an unremarkable door down one of the back alleys. The whole situation felt a little shady. I knocked, and the riad owner warmly welcomed me inside and took me to my beautifully decorated room. The calm inside the riad was refreshing. I was a little hesitant to venture back out into the city, but when I did, I was rewarded with beautiful buildings, fascinating history and a melting pot of cultures all converging in one place.